After such an exhausting day yesterday, we slept very well. We went to the hotel (Thistle) buffet breakfast. It was quite a spread. We were amazed to see baked beans and tomatoes, which we would soon get used to seeing on breakfast buffets and even having for breakfast. There was also blood pudding which I never got up enough nerve to try. We bought a ticket for the red bus which we boarded at the Tower of London and got off at Westminster Abbey. We were in time for the morning Eucharist. No tours are given on Sunday; in fact, if you are not going the service, there is no admittance. We had written for a tour on Saturday, but we couldn’t schedule it with our St. Paul’s tour. As we entered the church we found separating the nave and the choir was what is known as a rood or quire screen. In earlier days, the choir was reserved for the clergy and the monks. Others who attended the worship services sat in the nave. 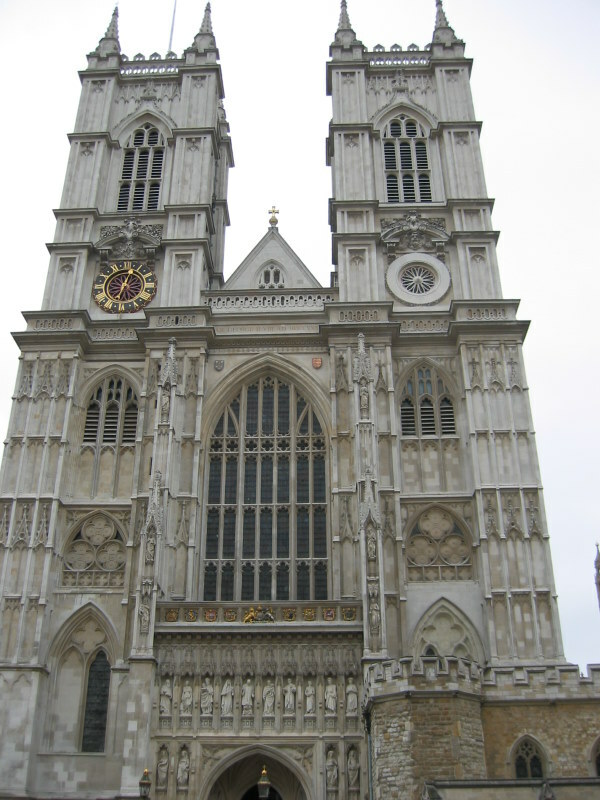 Upon entering Westminster Abbey - see model, we walked to the left of the rood or quire screen and entered the choir near the high altar and sat in the choir pews next to the choir. It was a wonderful service with excellent music. Following the service we introduced ourselves to the clergy. We were able to look at some of the tombs and monuments in the Nave. The rest of the Abbey was closed to visitors on Sunday. We were able to walk around the outside. In 1220 King Henry III laid the foundation stone of Lady Chapel. Henry began the present church in 1245. He had an ambitious building program and was influenced by the French Gothic. 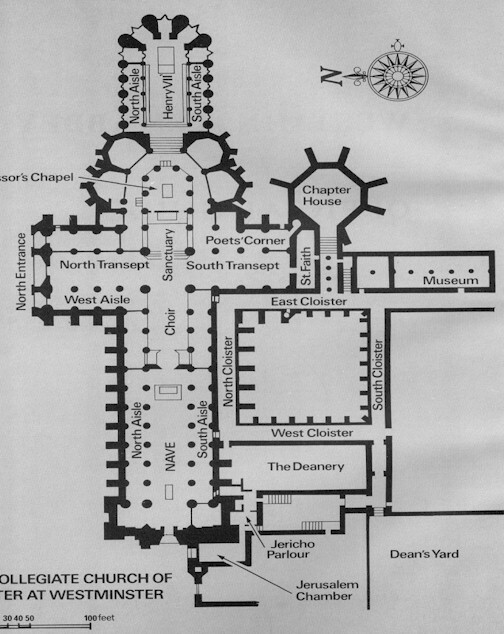 By Henry’s death in 1272 the eastern part of the nave, the ambulatory, chapels, transepts and Chapter House, choir and a new shrine for Edward were finished. After Henry’s death, the west end of the Norman Nave remained attach to the far higher Gothic building for over a century. Between 1276 and 1387 the Norman Nave was demolished and new walls erected. The work was completed in 1509. On the street behind Westminster Abbey are the Parliament buildings and Big Ben. Since it was Sunday the Parliament Buildings were closed. 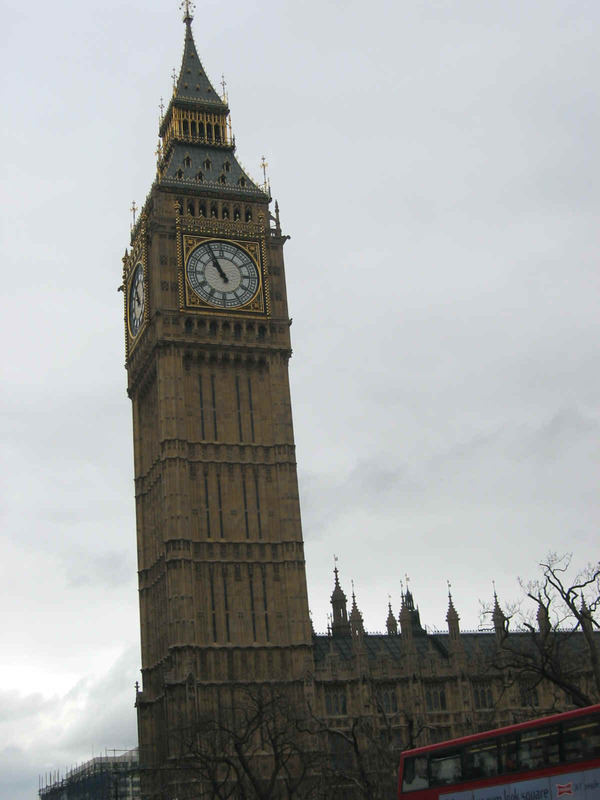 It was fun to see Big Ben and hear it chime. We walked over to a building that housed the Cabinet War Rooms. There was a fairly long wait to get in. It was very interesting. In August 1939, one week before the war began; the Cabinet War Rooms became operational in a former government storage basement. 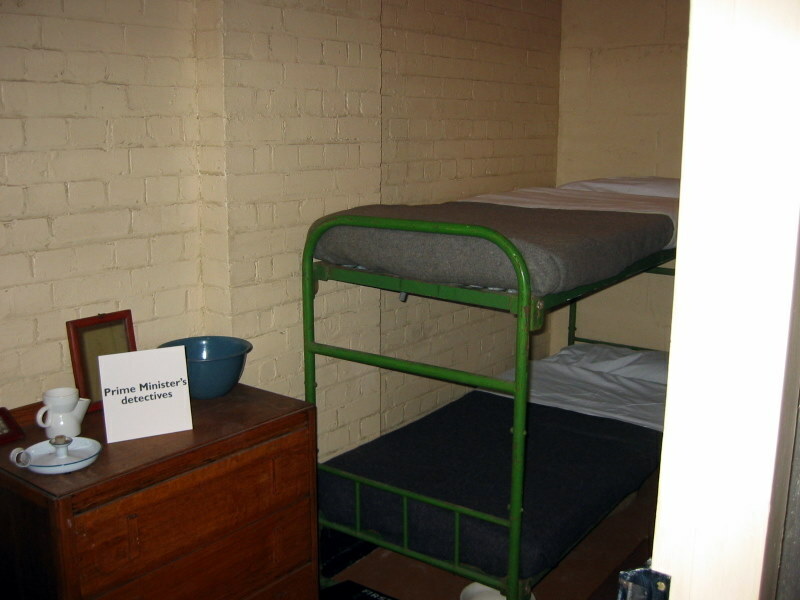 In the twenty one rooms of the cramped quarters, the most senior figures of Britain’s government and its armed forces worked, slept, and survived the air attacks on London during World War II. These rooms have been kept exactly as they were before after six years of w ar. 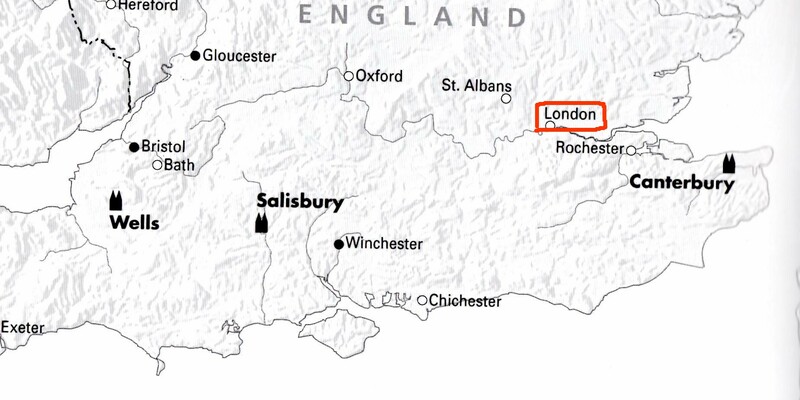 The rooms included the Map Room, the Cabinet Room, Churchill’s kitchen and Mrs. Churchill’s bedroom. There was a small tourist dining area near the War Rooms, on the lower level where we had lunch. For dinner we went to the Dickens Inn. It was very attractive and we had a delicious meal. The Dickens Inn can trace its origins back to 1799. The unusual timber structure is a former 18th century spice warehouse nestled in the heart of the dock that was, for over a century, London’s trading outlet. Over time the building was reconstructed in the style of a three story inn and provides a one of a kind and spacious setting.